Yesterday I had a fabulous if exhaustingly long day travelling by train from North Wales to Yorkshire. 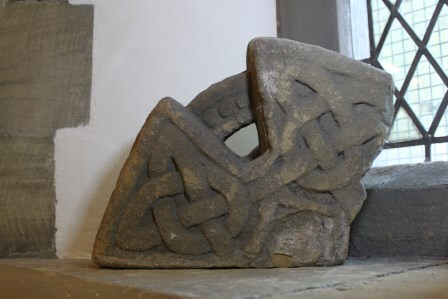 I was travelling to examine and photograph the 14 pieces in the collection of Anglo-Saxon stone sculpture on display inside and outside St Thomas’ church, Brompton, near near Northallerton, North Yorkshire. The church is usually locked and so I was extremely grateful that my request to visit was not simply granted but supported with such enthusiasm and interest. Thanks to the superb church warden, Doreen Newcombe, for all the help and facilitating my visit at relatively short notice. 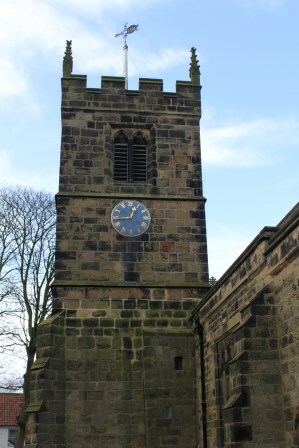 As well as access to the church, I was extremely grateful for her supplies of tea, cheese, cake and a lift to and from the railway station at Northallerton. ‘Above and beyond the call of duty’ seems like an understatement; I was treated with unsurpassable courtesy and kindness during my short visit. What was there to see at Brompton? Brompton’s fame resonates in Viking-Age studies with a distinctive hogbacked chime. 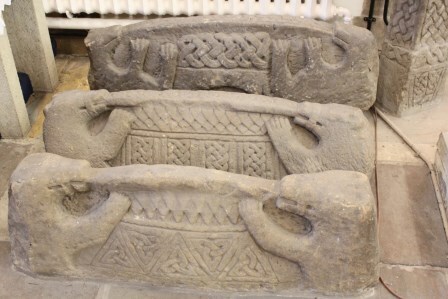 The hogbacks are there, recumbant tomb-covers of the tenth-century, most with muzzled ursine end-beasts and some with decorative features thought to resemble shingle canopies. Yet there is more besides with cross-heads and cross-shafts in profusion. Lang (2001) dates all the pieces to the early tenth century AD. 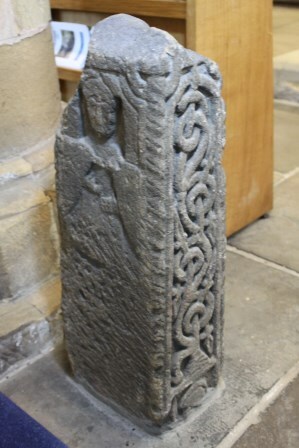 The Corpus of Anglo-Saxon Stone Sculpture has published 26 fragments found during the renovation of the church in the foundations of the chancel in 1867-8. 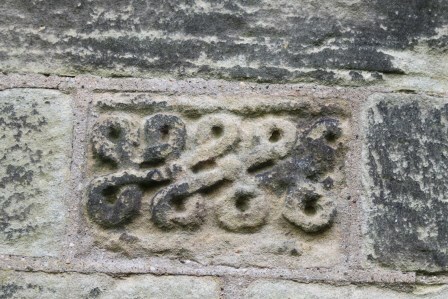 Of these, Brompton 1, 2, 3, 9, 10, 11, 16, 17, 18, 19, 20 can be seen inside the church and 6, 7 and 8 are built into the exterior walls of the church. 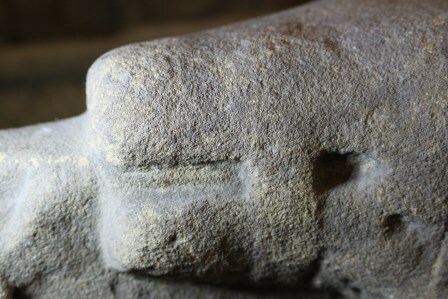 Therefore, 14 stone fragments are on display. The hogbacks are five in number: 16, 17, 18, 19 and 20. However, it is important to note that Brompton holds only just over half of the sculpture discovered in the Victorian era. 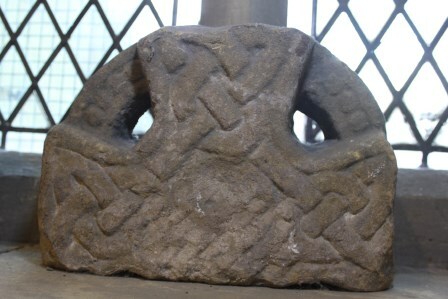 This is because an important further number 12 in total, including 6 hogbacks, were purchased by Canon Greenwell and installed in the Monks’ Dormitory of Durham Cathedral. 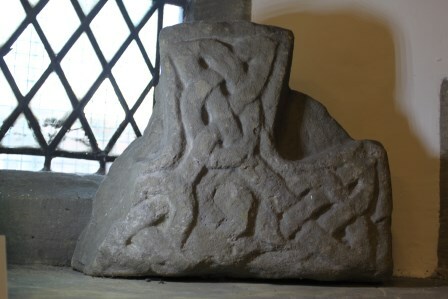 Ok, so Brompton is a special place because of its early medieval stone sculpture, but what is my particular interest in the hogbacks and other sculpture? I have previously posted about my interest in hogback tombs here, here and here, oh and also here. I have just re-submitted my final version of ‘Hogback 1’, a chapter about their materiality and spatial characteristics in a book I am co-editing – Early Medieval Monuments: Materiality, Biography, Landscape. I am now working again on ‘Hogback 2’. This piece will look at the material citations made in the design of hogbacks to other media. Furthermore, following my Bournemouth TAG presentation, I am halfway through revising a ‘Hogback 3’ chapter, looking at citations between hogbacks at Brompton in particular. 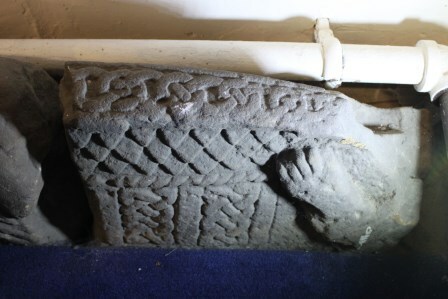 Hence, it is this Hogback 3 article, that my visit was all about. 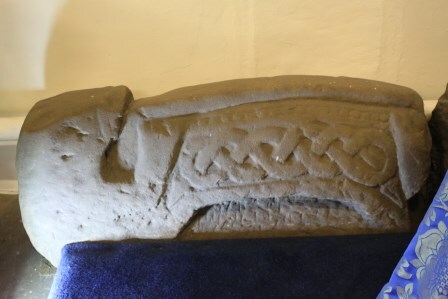 Having said that, I am also drafting a ‘Hogback 4’ article as well, looking in particular at the West Kirby hogback in relation to the Lancs and Cumbrian examples. I got to see the sculpture up-close. 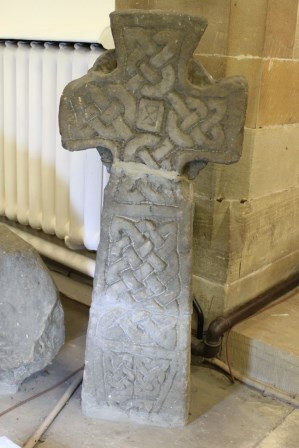 Three hogbacks (16, 18 and 20) are partially obscured due to very close proximity to radiators, piping and walls, and the fragments of crosses cannot be viewed in their entirety for similar reasons. 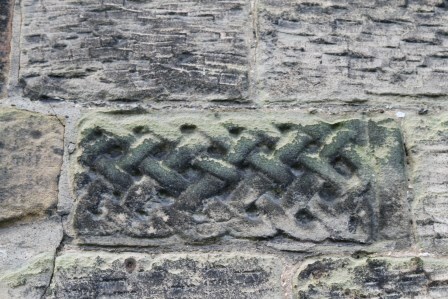 Still, it remains possible to explore most of their surfaces and identify features and aspects that are not described in the Corpus volume by James Lang for North Yorkshire (Volume VI published in 2001), but also are not evident in the high-quality black-and-white photographs of the monuments. This has inspired me to revisit my arguments for my Hogback 1 paper, and the observations I have made will directly inform my work on my Hogback 3 paper. 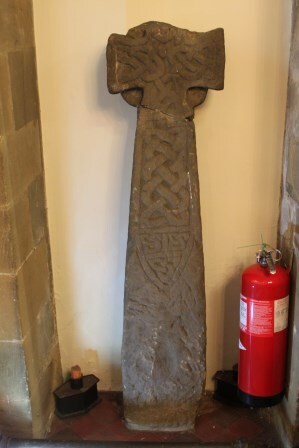 I also got to appreciate one of the most important collections of early medieval stone sculpture in Yorkshire and the challenges of presenting them to the public when installed within an active place of worship. Also frustrating visitor appreciation is that, while one can buy a guide book and there is a local heritage group who have a website here the details of the sculpture remain inaccessible to the general public. Most importantly, the assemblage is bifurcated between Brompton and Durham. Given my interest in hogbacks – their materiality, their meanings, their biographies over time and their display in the present, this was a visit that got me thinking and rethinking my ideas. Hence, I learned a great deal about the importance of these monuments and how they might have operated to commemorate the dead and honour the living. In my forthcoming work, I hope to explore these ideas in greater depth and drawing on fresh insights inspired by work from other parts of the discipline and from other disciplines. An amazing sight, when first heard of and eventually found [they are little heard-of, even by some of us who grew up in the area and were archaeologically inclined]. Have you any ideas about why hogsback (Brompton 16) seems to be showing playful bear cubs without straps on their muzzles? I was at the site yesterday and amazed by it. One hogsback is fabulous, three is unbelievable! Hi Beth, I’m speaking about them next month to the Brompton Heritage Group! If you are local: come along!